The Atlantic City Boxing Hall of Fame (ACBHOF) has announced its 2019 Induction Class. The Induction Weekend will take place at The Claridge, a Radisson Hotel located at Park Place & Boardwalk in Atlantic City, New Jersey on June 21 – 23, 2019. The Atlantic City Boxing Hall of Fame otherwise know as ACBHOF has annouced the 2019 Inductions. The weekend of June 21-23, 2019 is when the Induction weekend will take place. It will take place at The Claridge, at Park Place & Boardwalk in Atlantic City, New Jersey. “I feel appreciated and it’s starting to settle in that I’m near that mark of living legend. I don’t see myself as a living legend. Let other people decide that. This is a great honour and I’m grateful for the Atlantic City Boxing Hall of Fame for making this happen,” Hopkins said in a November 16 RingTV interview with Joseph Santoliquito. “Watch who you co-sign for; you can’t sell me black to get in the door. You can’t sell me white to get in the door. You can’t sell me half white or half black or none of that to get in the door. 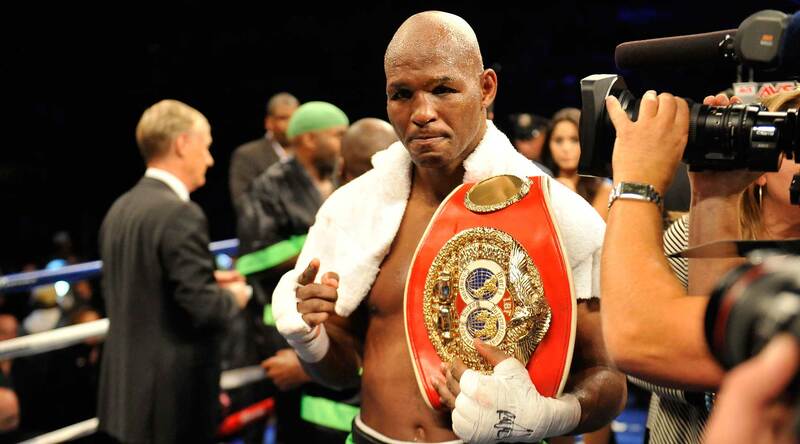 But you can sell me LOYALTY” said former two-division champion Bernard Hopkins. Particularly exciting for fans of the sport is the inclusion of some of the most illustrious and celebrated men from the world of boxing. Names included in the line-up for the 2019 induction class are Nigel Collins, Butch Lewis and English “Bouie” Fisher. For many perhaps the most exciting inclusion is that of Harry Hascup, the president of the New Jersey Boxing Hall of Fame. None deserve this accolade more than him. Although the list will be updated regularly we know that the inductees will be from three different categories: they are Special Contributors, Fighter and Trainer & Cut Men. For many people named, Atlantic City is a second home and this accolade will ensure that their name lives on there. We can expect a series of updates before the event but for fans of boxing, the lineup as it stands now makes any new information almost irrelevant. The The Atlantic City Boxing Hall of Fame (ACBHOF) has got it right again – and as per usual! “It was a great honor to hear I was going to be inducted into Atlantic City Boxing Hall of Fame. Atlantic City is my second home, and as a pro fighter I’ve fought numerous times in this great city. It’s a great boxing town and it is an honor to be inducted into the Atlantic City Boxing Hall of Fame” says Micky Ward.